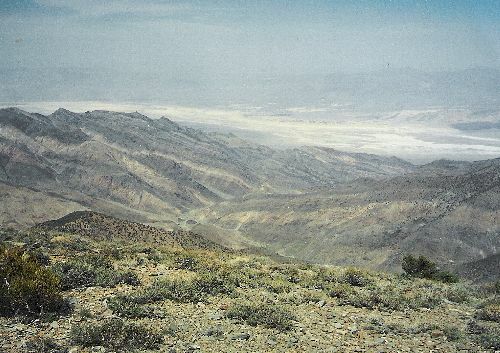 Shirley and I love Death Valley, and we have enjoyed many grand adventures there. 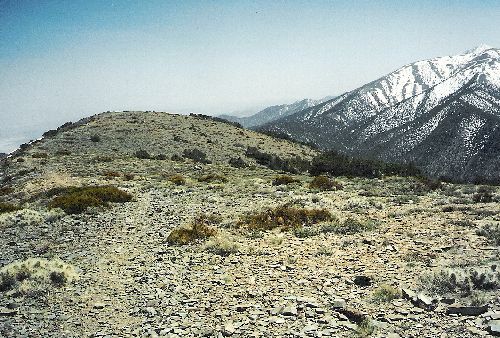 One year in April we climbed Wildrose Peak, and it was a worthwhile endeavor. It was a long day, though, as we stayed down in the Valley at Furnace Creek and this meant we had a long drive just to reach the trailhead. 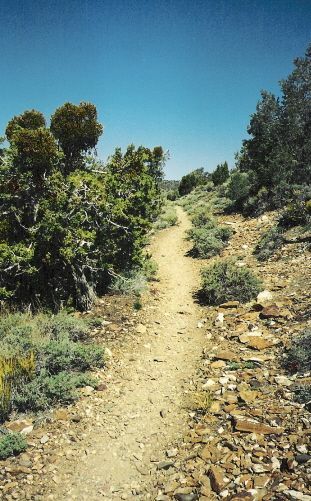 Fortified with coffee, a banana, and a cold muffin, we left Furnace Creek and started for the trailhead. 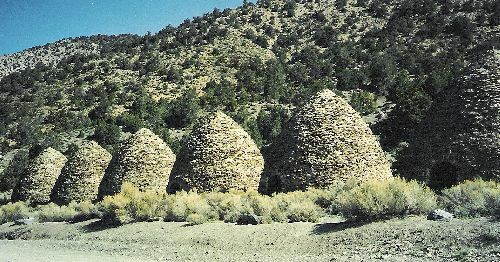 We drove past the Dunes and Stovepipe Wells, and the road steepened as we climbed into the west. I made a sharp left turn on the Wildrose Road and we followed it south to Wildrose Campground. 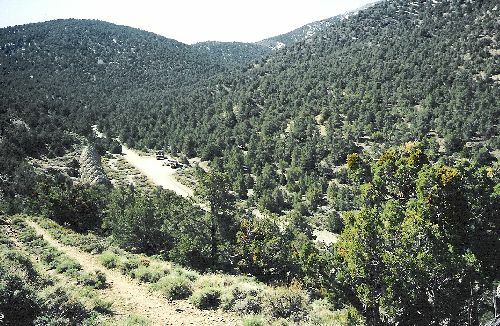 From there we drove up the rough dirt road as it climbed to the trailhead located near the Charcoal Kilns. 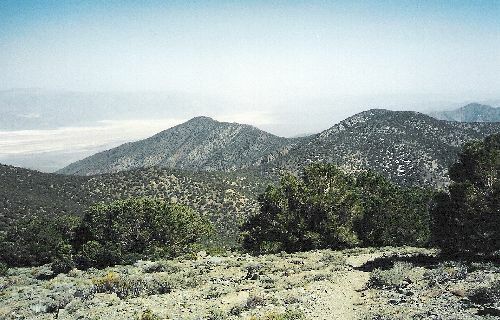 The roundtrip hike is over eight miles, and the trail starts at the charcoal kilns near 6800' and ascends to the twin rounded summits of Wildrose Peak at over 9000'. After three and a half miles we reached this point on the ridge, with the cone of Wildrose rising steeply up in front of us. 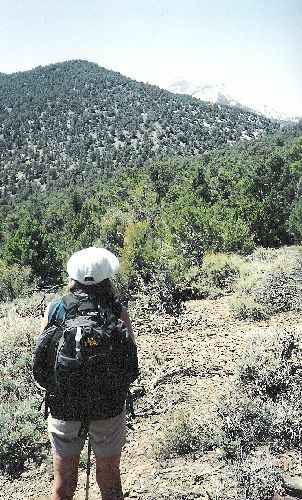 We continued on along the ridge top and eventually reached the base of the cone, then we began the ascent on short switchbacks that were steep and sandy. 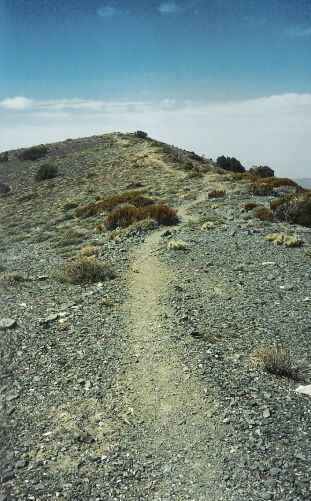 As the mountain narrowed near the summit the switchbacks got steeper and shorter. Finally, we crested the peak and strode out on the rounded summit. 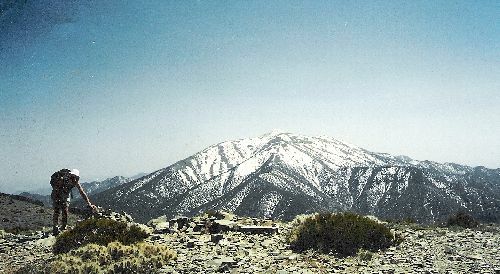 There was an incredible view of Telescope Peak behind us, still covered in winter white. 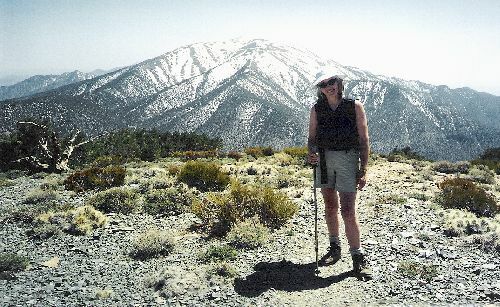 I took a picture of Shirley with the snow covered peak rising up behind her. We hiked to the second summit where we had lunch. It was getting warmer but there was a pleasant breeze at the top. I looked back at the first summit and took a picture. 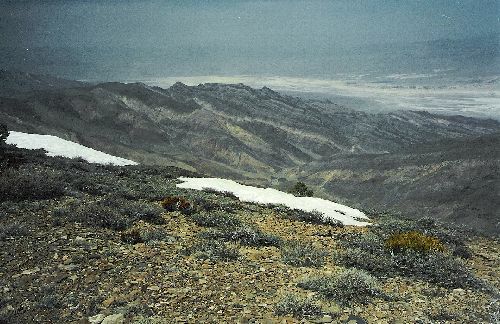 We looked down from the summit to our place of lodging at Furnace Creek, over 9000' below us in Death Valley, the view was awe-inspiring. After a long rest, we retraced our steps back to the car and returned via the same route to our motel at Furnace Creek. 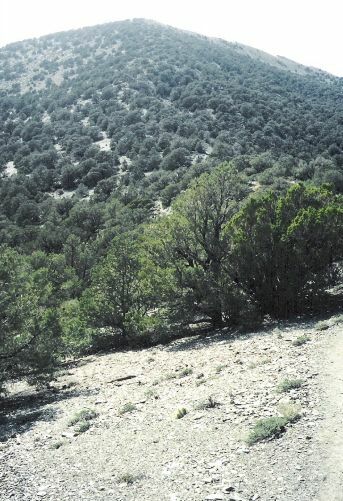 As we drove down into the Valley the temperature rose and it was well over 100 degrees when we reached our lodging; both of us were hot, sweaty, and dusty. We bought a pizza at the bar and took it back to our room where we took a shower and enjoyed dinner with a glass of cold white wine and an ice cold beer. Sleep came early that night.